Whale watching season is finally here! For the Cabo Trek team, you would think it was already Christmas. 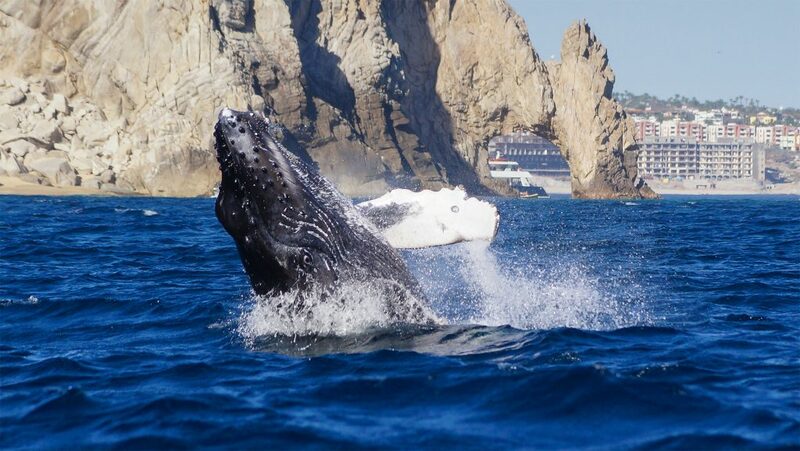 We have already been able to witness many whale sightings and behaviors around Cabo San Lucas and the season is just warming up! Today one of our crew members saw a very large humpback breaching in the distance, creating a massive splash. 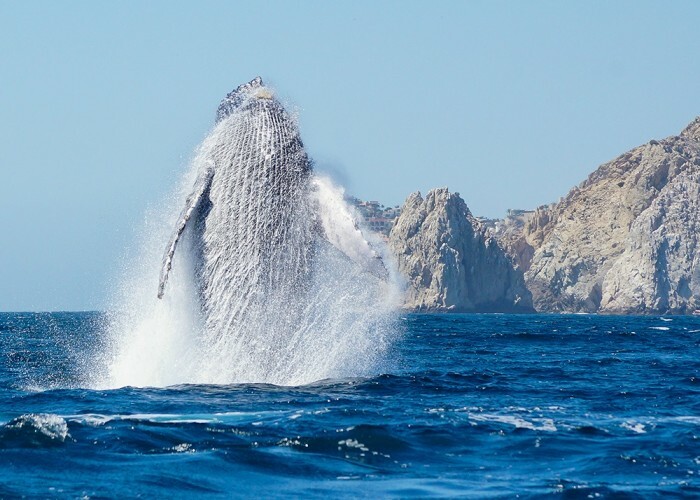 Corresponding with the opening of the Los Cabos Whale Watching Season 2014-2015, this week in our recurring whale behavior blog, we will be discussing breaches. This is by far the most spectacular and impressive whale behavior to see from our tours. A breach occurs when a whale propels at least 40% and up to 90% of its body out of the water almost vertically, then turns mid-air onto its side or back producing a large splash which can be seen for miles. This splash can displace several tons of water. Whales are guaranteed on all our tours, but seeing something rare like this, up close, truly is a miracle of nature and is something that will leave you speechless. We make sure to follow all whale watching guidelines while getting our guests as close as possible to the action. Even our crew sometimes lose their words when these animals propel themselves out of the water. Although our tours are very informative and educational, we know when its time to sit back and enjoy the show. We hope to see you soon and until then, safe travels! And here we re post an article we wrote a few month ago: Why do whales breach? Don’t forget to BOOK on-line!! our 25% discount is still available! !